How user friendly is your website? How does a visitor respond to your navigation structure, web copywriting and 'calls to actions'? Is your site technically sound? Are your most important pages indexed by the search engines? These are just some of the issues that we look at in our expansive SEO Audit. Getting optimal results depends on a lot of factors. Some big but also a lot of small factors that hinder the growth of your online visibility and conversion ratio. Knowing how well your website has been set up is crucial. We will review your website in an objective manner and detail the good, the bad and the ugly in our SEO Audit. If your website has technical issues or the usability has shortcomings then your business goals may not be achieved. 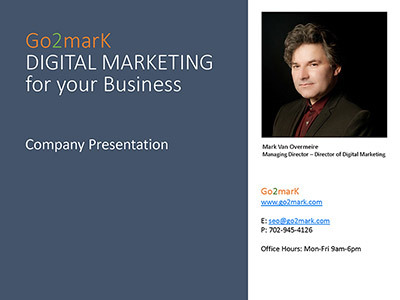 Go2marK can help you iron out the wrinkles of your website. Which topics do we review in our SEO Audit?